Britain’s role in the mid-nineteenth century as the world’s greatest economic power was an extraordinary phenomenon, foreshadowed in the Industrial Revolution of the century before and originating from a unique combination of global and indigenous factors. 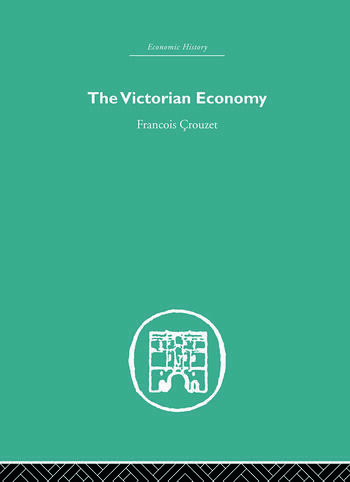 In this study François Crouzet analyses the growth and – in late Victorian Britain – decline of the nation’s economy, drawing on an immense amount of quantitative data to examine and explain its development. The book begins with a macroeconomic survey of the period, reviewing broad fluctuations in economic growth and the question of the ‘mid-Victorian boom’, structural changes in the balance of the economy, demographic movements, capital formation and the influence of Free Trade. Professor Crouzet then goes on to look in detail at the different sectors of the economy, assessing the effects of the relative decline of agriculture against industry, the growth of the tertiary sector, the rise of new industries such as armaments and the transport revolution. His final chapter analyses the reality of and reasons for Britain’s subsequent decline as a world economic superpower. This study, first published in 1982, draws together a wide range of material and provides an invaluable framework for the understanding of a complex and richly-documented period. François Crouzet is Professor of Northern European History at the University of Paris-Sorbonne.